Book your transfer with Go Shuttle and Limousine on our Private Airport Transfer service today! At Go Shuttle and Limousine our Private Airport Transfer service is available for transfers between Denver Airport, and 94 locations across United States. The Private Airport Transfer service aboard Go Shuttle and Limousine is an express on-demand door-to-door transfer service. Your vehicle will be travelling exclusively for you and your group, directly without stops or delays, to your destination. Your transfer time will be best suited to match your specific requirements and the driver will pick you up and drop you off whenever it suits you. Our Private Airport Transfer service is available 24 hours a day 7 days a week and can be booked up to 24 hours ahead of travel. At Go Shuttle and Limousine we offer fixed transfer fares starting from $86.66 USD total one-way and with enough seat capacity for up to 5 passengers. Your final fare with us includes luggage allowance for 1 carry-on bag and 1 check-in bag per passenger. Also included in all our fares are airport parking fees, any tolls along the route and your drivers waiting time. 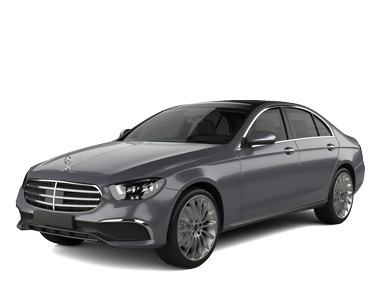 Go Shuttle and Limousine is a transport company based in United States and we have been a professional transport supplier on Jayride since May 2017. Welcome to Go Shuttle Limo Taxi service,Affordable DIA, Colorado Mountain Resorts Town Car and Limo Service Besides our excellent fleet of town cars, shuttle services, and limos, we are also proud to say that we offer the best and the most competitive rates when it comes to transportation rental in Denver. Our limousine service rate is lower than a taxi cab fare. Not only are we the most reliable transportation service for people in the Denver Metro area, but we also offer extremely affordable car, limo, taxi and shuttle services anywhere within the Denver Metro area including Fort Collins, Lakewood, Englewood and Vail, Colorado. Some of our pick-up destinations include the Denver International Airport (DIA) and various Colorado Mountain resorts. Our licensed, bonded, and highly trained chauffeurs are dedicated to safely shuttling you to your desired destinations in and around Denver. We offer a variety of fully-equipped and well-maintained vehicles that can accommodate both small and large groups comfortably.